Design Megillah: Canvas Drop Cloths: Not Just for Painting! Canvas Drop Cloths: Not Just for Painting! If you think paint drop cloth's are just for protecting floors from paint splatters, think again! 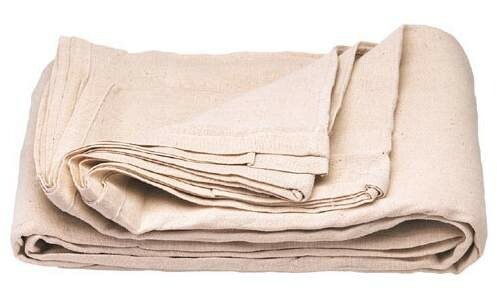 This canvas fabric has the look of raw linen and is very inexpensive--a 9-by-12-foot cloth ranges from $15 for a 6-ounce canvas to about $30 for a 12-ounce canvas. I have a headboard project coming up and this drop cloth headboard from tenth avenue south looks like it came from Pottery Barn! 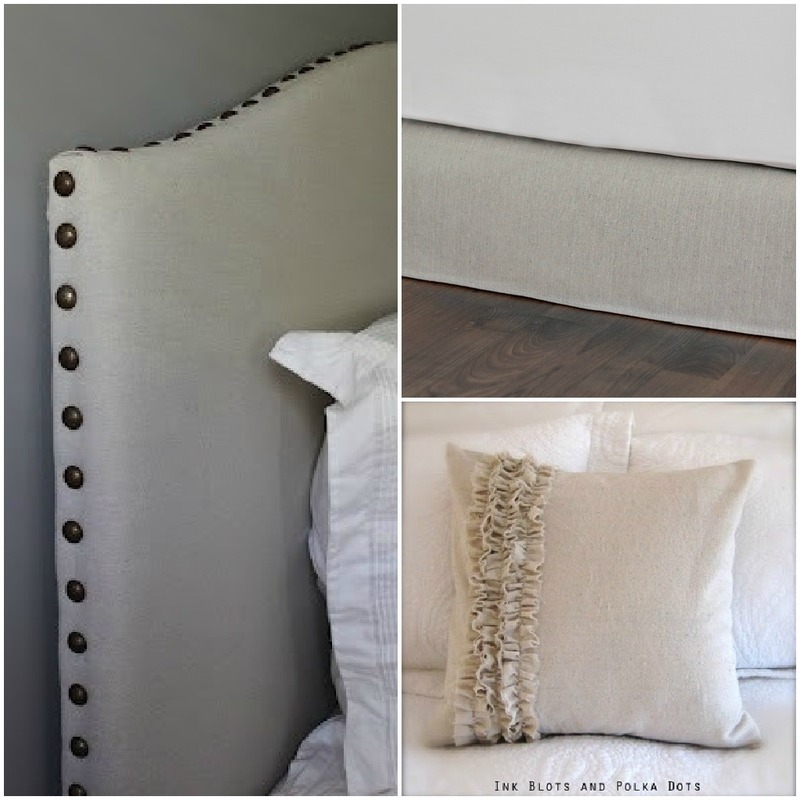 I don't like fussy bed skirts and this clean lined bed skirt from Besotted Brand is perfect. Love the contrast of the plain canvas fabric with pretty ruffles on this pillow from Ink Blots and Polka Dots. 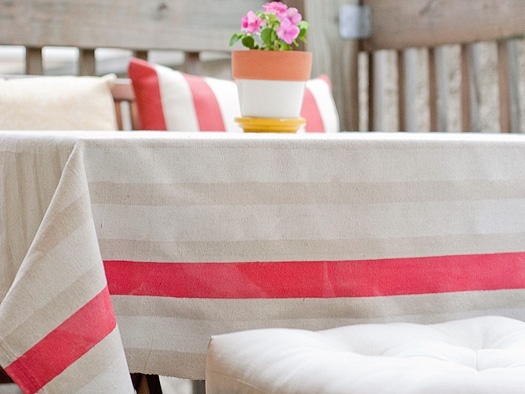 Yellow Brick Home painted stripes on a drop cloth to create a summery tablecloth for dining on the patio. Think these roman blinds from Simple Vintage Charm are raw linen? Guess again--drop cloths! These outdoor curtains from Our Home Away from Home are a lot what I plan on doing for my new sukkah next year. 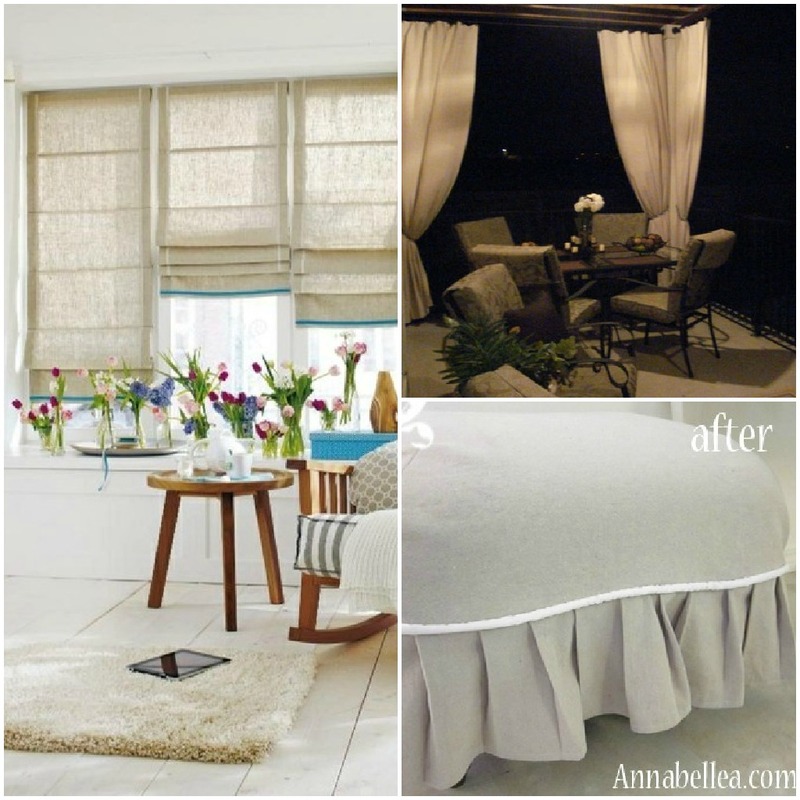 This "after" slipped covered ottoman from Annabellea looks so much better with a custom drop cloth cover. 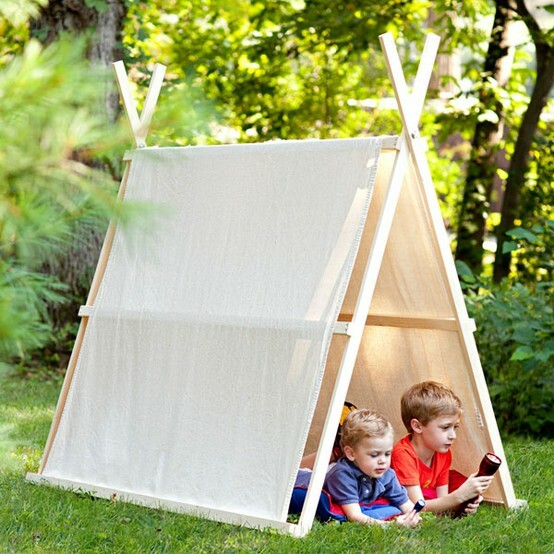 How cute is this tent from Lowe's Creative Ideas? They show you how to make it here. Having a crowd for dinner? 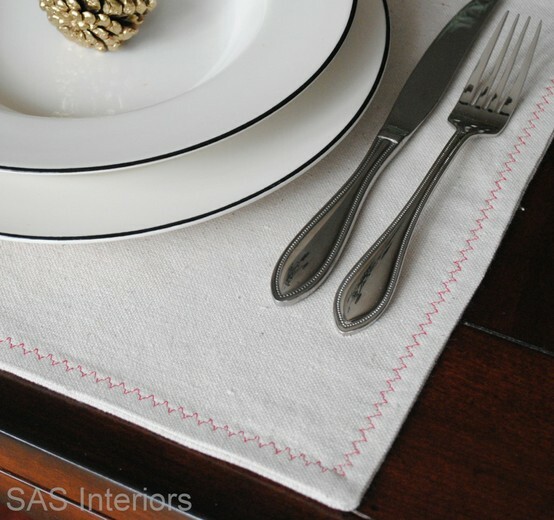 Whip up these elegant drop cloth place mats from sas interiors for pennies! So, next time you're at the home improvement store pick up some drop cloths and see what you can do! wow, this is such a collection of inspiring ideas, THANK YOU!! I'm glad you were inspired! I love the tablecloth. Drop cloths would also make a great canvas for painting. You could hang it wherever and go to town (or let the kids go to town). We used canvas drop cloths for our sukkah walls several years back. It was such a clean, pretty look. I'm planning on painting mine with stripes and using them for the sukkah, too.